Dark chocolate is known as bittersweet chocolate due to the absence of milk. It is the “healthy” chocolate because compared to the milk chocolate it has more cacao, less sugar, and no dairy. Studies show that eating dark chocolate promotes health and lowers risks of cardiovascular disease. Dark chocolate contains flavonoids, a type of polyphenol antioxidant; which promotes blood flow and lowers blood pressure. 1.6 ounce of dark chocolate daily is the ideal recommendation. Additional benefits include the decrease in cholesterol, reduced risk of blood clots, blood flow in arteries, lowers blood pressure, improved mood due to its serotonin content, and dark chocolates contain several vitamins and minerals such as calcium, magnesium and potassium, among many others. Grando's solid dark chocolate is organic, dairy free, vegan, kosher, and non-gmo. Chocolate is a fruit and thought to have the most antioxidants than any other food! Milk chocolate is chocolate combined with milk powder or condensed milk. This formulation is made by substituting whole milk solids with portions of the chocolate liquor which is used in making sweet chocolate. Milk chocolate contains pure cocoa liquor with extra cocoa butter, sugar and milk solids and has more milk than chocolate liquor. This makes milk chocolate when compared to dark chocolate have a creamy flavor to it. 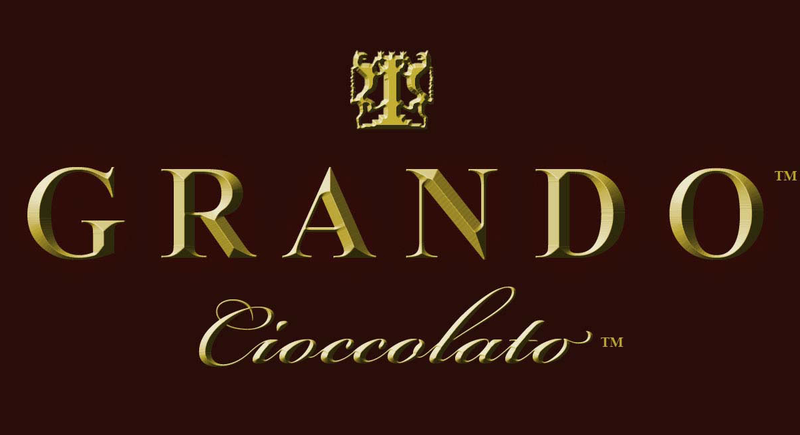 A key component in milk chocolate is the quality of the chocolate - Grando's milk chocolate has a higher percentage of chocolate liquor mixed with pure ingredients. Milk chocolate's health benefits include better brain reaction and impulse control. Studies also showed that the nutrients in the cocoa and milk content of milk chocolate aid in glucose release, increase blood flow and augments cognitive performance. In addition, milk chocolate also contains high levels of potassium and magnesium that provide several vitamins such as B1, B2, D and E.
White chocolate is created from cocoa butter, sugar and vanilla. There are small traces of vitamins and minerals from the milk solids and cocoa butter found in pure white chocolate. Grando Cioccolato is artisanally produced using rare organic criollo and trinitario beans harvested from Equal Opportunity Farms in Caribbean and South America amazon. The beans are transported to Italy where they are sterilized and lighly roasted, so that you can be assured that the cocoa it is treated with the highest quality standards. The beans are pulverized to a fine paste called chocolate liquor. The chocolate liquor is shipped to Grando Cioccolato's commerical kitchen in Pasadena where I then temper it and combine it into confectionary chocolate.